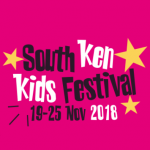 It’s that South Ken Kids Festival time of year again! Prepare yourself for a brilliant selection of children’s writers and illustrators coming from both sides of the Channel to the Institut français and participating London schools, under the ever-generous patronage of the marvellous Quentin Blake. Brilliantly bilingual throughout, the festival is an occasion to celebrate children’s writing, illustration, translation, and children’s books in all their glory.